One Size- 26" Neck Circ., 16" tall front, 18" tall back. 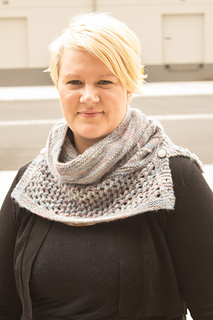 Hello everyone and welcome to the Game of Thrones Mystery KAL! Our Downton Abbey MKAL was so popular that we couldn’t resist hosting another for the new season of one of our other favorite shows-- HBO’s Game of Thrones. Even if you haven’t watched the show, but enjoy the book series, you’ll love this KAL! If you are just joining us, please read below for the basic details, then check out the posts above. 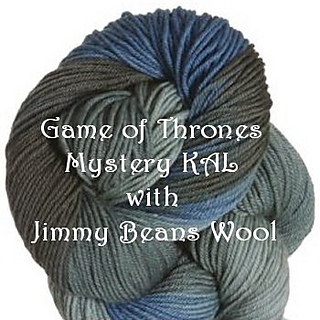 -The project will use 2 skeins of the new Lorna’s Laces Haymarket yarn as listed above in the “Winter is Coming” color (Available only at JimmyBeansWool.com on March 1st) created by Lorna’s and Jimmy Beans as an homage to Game of Thrones Season 3. If you prefer a superwash yarn or a different color, please feel free to use a different worsted weight yarn. 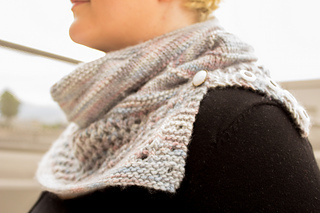 Lorna’s Laces Shepherd Worsted is a great superwash alternative. -I will not be releasing gauge info prior to March 24th. However, I will release the needle size soon. I am finalizing the gauge this week but I can tell you it will either be a US 7 or 8- 24” circular needle. 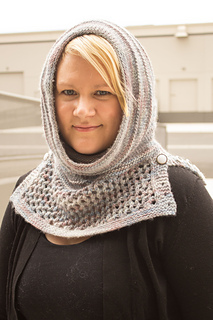 -Because it is a Mystery KAL, I will not tell you what the item is that we will be knitting. However, I can tell you that it will NOT be Fingerless gloves this time, or anything you wear on your hands. 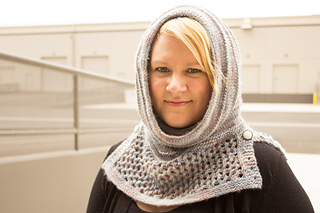 It is an accessory and is inspired by a character from the show/books though more loosely than the Downton KAL.